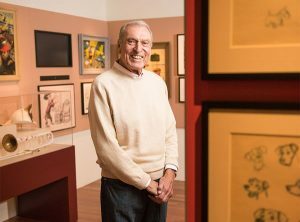 Ron Miller, husband of Diane Disney-Miller, former President and CEO of Walt Disney Productions, President of the Board of Directors at The Walt Disney Family Museum, and owner of Silverado Vineyards, passed away in Napa, California at the age of 85. The Walt Disney Family Museum&apos;s newest original exhibition, Make Believe: The World of Glen Keane, showcasing the work of this critical Disney animator and artist, opens on March 8 in the museum&apos;s Theater Gallery and will be on view through September 3, 2018. Keane&apos;s dynamic artistic talent brought to life some of the most unforgettable characters of our time, from the imposing Beast and fearless Tarzan, to the daring heroines Ariel, Pocahontas, and Rapunzel. The exhibition was curated by Glen Keane in partnership with Michael Labrie, the museum&apos;s Director of Collections and Exhibitions. 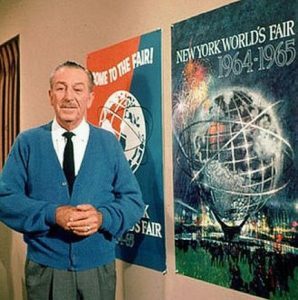 For more information on the exhibit, call 415-345-6800 or visit the website waltdisney.org/glen-keane. The Walt Disney Family Museum is presenting an original exhibition of works by Andreas Deja, one of the most accomplished and versatile character animators working today. On view from March 23 to October 4, 2017, Deja View: The Art of Andreas Deja will showcase original works on paper and maquettes of Deja&apos;s most iconic Disney characters, from menacing villains such as Scar and Jafar to larger-than-life muscle men like Gaston and Hercules, and the much-beloved Mama Odie and Lilo Pelekai. THE WALT DISNEY FAMILY MUSEUM SEPTEMBER 2014 Programs, Activities, Screenings, and Special Events SPECIAL EXHIBITIONS Leading Ladies and Femmes Fatales: The Art of Marc Davis Now through November 3, 2014 | Theater Gallery FREE for members or with museum admission | $20 adults | $15 seniors and students $12 children (ages 6 to 17) The … Continue reading "The Walt Disney Family Museum September 2014"
THE WALT DISNEY FAMILY MUSEUM’S FIFTH ANNIVERSARY Programs, Activities, Screenings, and Special Events This coming October, come celebrate our fifth anniversary here at The Walt Disney Family Museum! On October 1, 2009, Diane Disney Miller first welcomed guests to explore the life, work, and legacy of her father Walt Disney: an entertainer, risk-taker, and innovator … Continue reading "The Walt Disney Family Museum’s 5th Anniversary"
Marc Davis, visual development for Sleeping Beauty, ca. 1959; Collection Mike Glad; Â© Disney THE WALT DISNEY FAMILY MUSEUM PRESENTS LEADING LADIES AND FEMMES FATALES: THE ART OF MARC DAVIS April 30 – November 3, 2014 Exhibition Celebrates Award-Winning Work by one of Walt’s infamous Nine Old Men San Francisco, CA, March 25, 2014 – … Continue reading "LEADING LADIES AND FEMMES FATALES: THE ART OF MARC DAVIS"
The Walt Disney Family Museum Presents Special Exhibition Water to Paper, Paint to Sky: The Art of Tyrus Wong At age 102, Wong is the oldest living Chinese-American Artist May 28, 2013, San Francisco, CA – From August 15, 2013 to February 3, 2014, The Walt Disney Family Museum will present the exhibition Water to … Continue reading "The Art of Tyrus Wong – Walt Disney Family Museum"
HANG OUT WHERE THE WILD THINGS ARE AND EXPLORE A GOTHIC WONDERLAND at THE WALT DISNEY FAMILY MUSEUM in JUNE! SPECIAL EXHIBITIONS Camille Rose Garcia: Down the Rabbit Hole Now through November 3, 2013 | Theater Gallery Free for members or with Museum admission Special exhibition Camille Rose Garcia: Down the Rabbit Hole features some … Continue reading "Walt Disney Family Museum – Explore a Gothic Wonderland"
November Exhibitions, Programs, and Events SPECIAL EXHIBITIONS Snow White and the Seven Dwarfs: The Creation of a Classic November 15, 2012-April 14, 2013 | Special Exhibition Hall Special ticket price for Snow White: $10 general | Special combination ticket which includes general museum admission: $25 adults; $20 seniors and students; $15 children ages 6 to … Continue reading "Celebrate Snow White and the Seven Dwarfs at the Walt Disney Family Museum"